Wood is a great material because it's cheap, renewable and versatile. 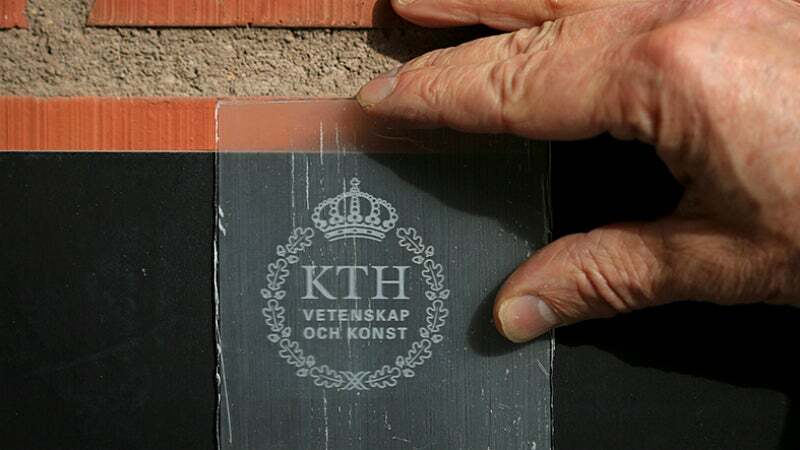 But this incredible transparent wood that scientists in Sweden brewed up is amazing. It could replace glass for some seriously eye-catching architecture, and even be used in cheap solar panels or windows. Researchers at the KTH Royal Institute of Technology in Sweden developed the material, which they say is suitable for mass production. The transparent wood could be used to build houses that let in more natural light, thus cutting your electricity bill. Their findings were published in the American Chemical Society journal, Biomacromolecules. The process begins by removing the organic compound that makes the wood brown. "The difference compared with timber is that we have removed lignin, but added a polymer to increase strength and provide transparency," Lars Berglund, who led the study, told Gizmodo. "We can create veneer from this material and then laminate it into larger structures, such as load-bearing panels and beams." It's not the first time wood has been used in surprising ways: Last year, researchers at the University of Wisconsin used wood to make computer microchips. This week's development out of Sweden takes a natural, millennia-old material from the earth, and turns it into a futuristic, low-cost, renewable alternative to glass. Now I'm eagerly awaiting moving into my ghostly, sci-fi, transparent log cabin.